ANGELS ALWAYS COME ON TIME tells the story of a young, Hasidic boy coming of age in the ultra-orthodox community in Jerusalem in the early 20th century. He writes about his ancestors in Poland and of the perils of their migration to Palestine, where they lived under despotic Ottoman rule. As a child, he experienced the suffering and deprivation of World War I, and, at age ten, stood at the Jaffa Gate when the victorious General Allenby entered Jerusalem in 1917. Soon, he felt the heavy, colonial hand of British Mandatory rule, and was caught in the turmoil and sectarian violence of post-war Palestine. 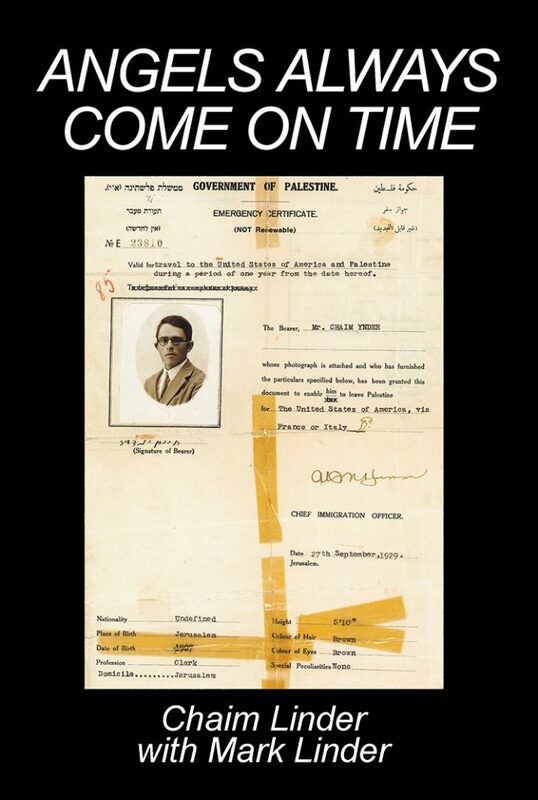 After the massacres in Hebron in 1929, he left Jerusalem for the Golden Land of America, stepping ashore, tempest-tossed, just as the Great Depression began. Ever hopeful, always striving, he studied English in night school, learned the printing trade, and peddled neckties on the streets of the Lower East Side. He tells of his struggles and triumphs, first in Jerusalem, and then in the alien, wonderful world of New York, where he laid the cornerstones of a new life. With wit and insight, he writes of lives rich in pathos, humor, and hope.